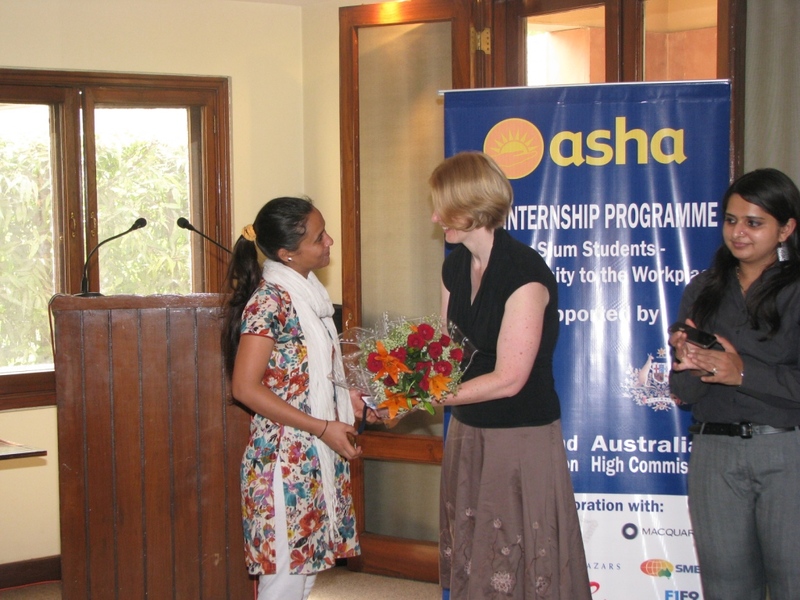 The Asha Internship Programme 2013 was formally launched on 24 the May 2013 at the New Zealand High commission. The pioneering initiative that gives students from slums a chance to get work experience in some of Delhi’s elite work places includes 38 students who will intern in 12 of Delhi’s elite work places. The event, graciously hosted by the New Zealand High Commission opened with welcoming remarks from Ms. Wendy Mathews, Deputy New Zealand High Commissioner who expressed her joy that the High Commission has been able to partner with Asha in this groundbreaking programme. Also speaking at the event were Ms. Indu Puri, Head of Communications-India, BAE Systems and Ms. Mala Khetarpal, Project Manager, F1F9 who were a part of the programme in 2012. They shared useful tips and insights on how to make the internships mutually beneficial for both the intern and the organisation. This was the first exposure that many of the companies had had to Asha. Asha’s Programme Manager Ms. Kiran Gera gave them a brief synopsis of the organization and its work and acknowledged the many ways in which the New Zealand High Commission has been supporting its programmes. Asha Internship and Mentorship Coordinator Ms Liz Peak, gave the employers an overview of the programme and shared her experiences from the previous year. The highlight of the event was the one to one interaction over refreshment between the Asha students and the company representatives. Both parties had many questions for the other: the representatives wanted to know more about the students’ backgrounds and experiences and the students were eager to know what their responsibilities would be during the internship. 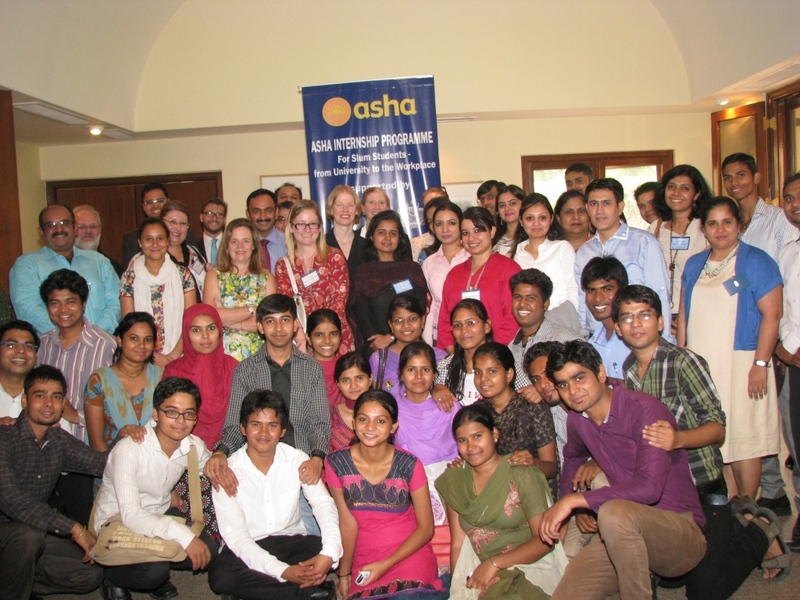 After last year’s success, Asha hopes that the programme will be a turning point in their lives as they finish their education and enter the professional world. Asha would like to thank the New Zealand High Commission for hosting this event, the Australian High Commission for also being a partner in the programme and all the representatives of the companies that attended. Click here to see more photographs of the Internship Programme.